Whatever our undertakings are, having the right preparation pays a lot, most especially when dealing with health situations. We don’t wait for any condition to get worse, right? Hence, even when pain is still manageable or even when the symptoms don’t appear as a big problem yet, it is best to seek medical advice and receive proper treatment straightaway. 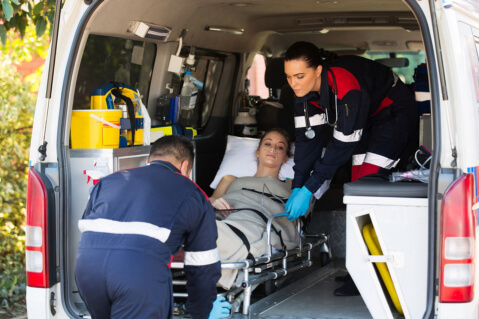 Force EMS provides Medical Transportation Services for patients requiring high-level of care and safety as they attend medical appointments or rush to the hospital. It is a transportation service with mobile medical assistance, comfort features, and trained team to guarantee you receive the right care en route. If you are facing these health situations, it may be the best time to call for a medical transportation service. Weakness, sudden confusion, and loss of balance are the symptoms of stroke. It is a crucial situation that necessitates a patient to be rushed to the hospital to receive the proper treatment without delay. A Medical Transportation in Longview, Texas can help you arrive at the hospital fast and safe. Chest pain and difficulty in breathing are both symptoms of a heart disease. They should not be neglected. Upon the appearance of early signs and symptoms, it is vital to take the patient immediately to the hospital to avoid further mishaps. To ensure your safety on the road, you may consider a Non-emergency Transportation in Texas. In a report from National Institute of Health, inappropriate self-medication, medication side effect, and drug interaction are the common cause of emergencies among elder people. Don’t wait till it happens to you. Have proper medication management and seek doctor’s medication counsels. This entry was posted in Health Situations and tagged medical appointments, Medical Transportation, medical treatment. Bookmark the permalink.